Aiphone products range from simple do-it-yourself door answering units to sophisticated video entry security systems, complex microprocessor-based commercial systems, and luxury condo/apartment security and communication systems. Aiphone products are unrivaled in design simplicity, technical excellence and reliability. With over 25 standard systems, and additional manufacturing by special order, Aiphone can create a system for virtually any intercom application. Every Aiphone system is the result of painstaking attention to detail, with contemporary European style design and the finest quality hardware and circuitry. All Aiphone products are engineered and tested with reliability in mind. Aiphone is an established provider in many communication markets. From Residential to Correctional and every market in between, Aiphone has a system that can be used in that application. When security is your business, trust the company that has been the leader in the intercom security industry for over 50 years. From perimeter security to internal staff communication capabilities to lock-in locations, Aiphone products are the ideal solution. 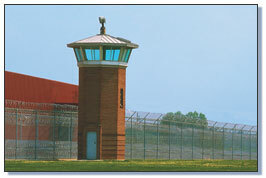 Our audio and video security systems allow monitoring and communication between multiple gates, entrances and areas within a building so the security of any correctional facility will never be compromised. Aiphone products are known for their reliability and functionality, creating confidence and peace of mind for people working in any sort of incarceration establishment. 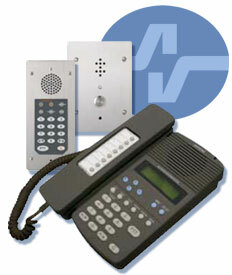 Perimeter- Secure any Boundary with Integrative Intercom Systems. Ensure total ground security by choosing an Aiphone system that can interface with existing CCTV cameras. Our video door stations provide a clear, up-close image of who is requesting access, whereas CCTV images capture a broad view of an insitution's perimeter. This feature is particularly helpful when it comes to observing activity in a prison yard. By integrating with a CCTV system, overlooking suspicous behavior is no longer a problem. Another convenient benefit that many systems feature is scan monitoring. At the touch of a button, prison staff and guards can scan through each door station, audio and/or video, to hear and see if anyone is roaming the premises. With a wide variety of systems to choose from, Aiphone will fulfill the protection needs of any size facility, including its perimeter. Government facilities take top priority when protecting their establishment. 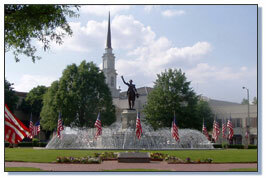 As an industry leader, Aiphone can provide systems that add communication to secured environments, such as local, state and federal government buildings, courthouses, city halls, embassies, consulates, police and fire stations, border control centers, transportation stations and public utilities. City halls and municipality buildings range in different sizes, usually in accordance to the local population. Even with sizes varying from small, one-story buildings, to very large multi-storied structures, Aiphone has a solution to suit any access control and security need within local governments. When entry is required for buildings that operate 24 hours a day (i.e. police station, fire station), Aiphone's audio/video door stations with door release are a great choice. When protecting lives is your responsibility, Aiphone has the solution you can trust - today and tomorrow. 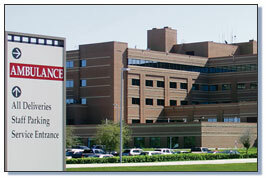 Whether you are designing a new healthcare facility plan or improving the effectiveness of an existing security and communications system, Aiphone's comprehensive suite of products provides the compatibility, reliability and flexibility that lifesaving institutions require. Patient & Exam Rooms- Patient-to-Staff & Internal Communication. From simple bedside call buttons and pullcords to sophisticated monitoring systems, patients have vital and constant access to nurse staff and doctors using Aiphone's Nurse Call System. However, staff can suddenly be inundated with patient alerts so two-way communication and call-in prioritization allow doctors and nurses to predicate the urgency of multiple calls and respond accordingly. Communication is an integral part of every medical establishment. Increase staff efficiency and prevent costly misunderstandings by using Aipone's room-to-room communication and over head paging. Multiple paging zones, call transfer and conference calling options provide convenient means to instantly locate and relay general or important messages and instructions to staff and doctors. 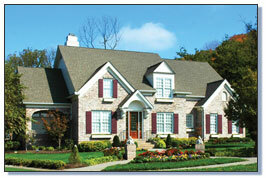 Single Family Residences- Complete Home Communication. Home owners and families no longer have to worry about securing their households. Installing Aiphone's easy-to-use audio or video systems adds entry security and convenience of intercommunication so family members know they can feel safe within their home. Users can screen visitors, locate family members or relay messages with a simple touch of a button. When someone calls at a door station, a resident can safely identify who it is before letting them inside. With the interior stations placed throughout a house, residents no longer have to wander from room to room to try and find one another. Aiphone systems not only provide added security and communication but also offers unobtrusive, easy-to-use products, ideal for anyone who wants to protect their home and values.